"Working with the community, synagogues and individuals to maintain the dignity of our cemeteries"
The NMJCT is dedicated to remedying decades of neglect and underfunding within Manchester's Cemetery System. 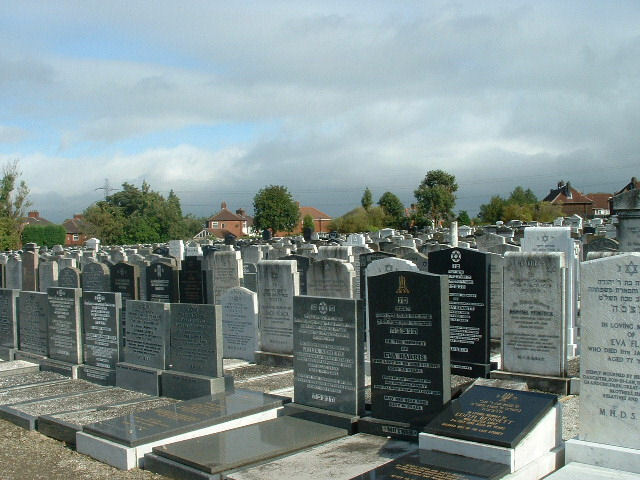 Many of us have former family members or friends who are now buried in one of our neglected Cemeteries - perhaps at Prestwich, Crumpsall or Blackley Cemeteries. As individual family members we have a financial and active responsibility to maintain the actual graves and tombstones of our loved ones. But as a community we have a collective duty to look after the infrastructure and to facilitate the provision of respectable and fitting resting places for them. We need to purchase land to create new cemeteries in the next few years to augment the limited number of burial spaces currently available. So, to undertake and achieve the massive task ahead, we need funds. Family members need to commit to a programme of maintenance and cleaning for the graves and tombstones of their loved ones. As a community we all need to contribute to the upkeep and improvement of the existing cemeteries as well as providing the funds for the provision of new cemeteries. Many people do not even belong to a burial board and simply ‘assume’ that the system will look after them when the time comes. This approach has left us with the problems we can all see. This website, when complete, will outline the work programmes we plan to undertake, the services we will be offering and how each and every member of the community can help. In the meantime, we ask you to click on the Paypal link and make a donation. We have instituted a minimum annual contribution of £26 p.a. per person i.e. £0.50/week. But if you can afford it please give more.